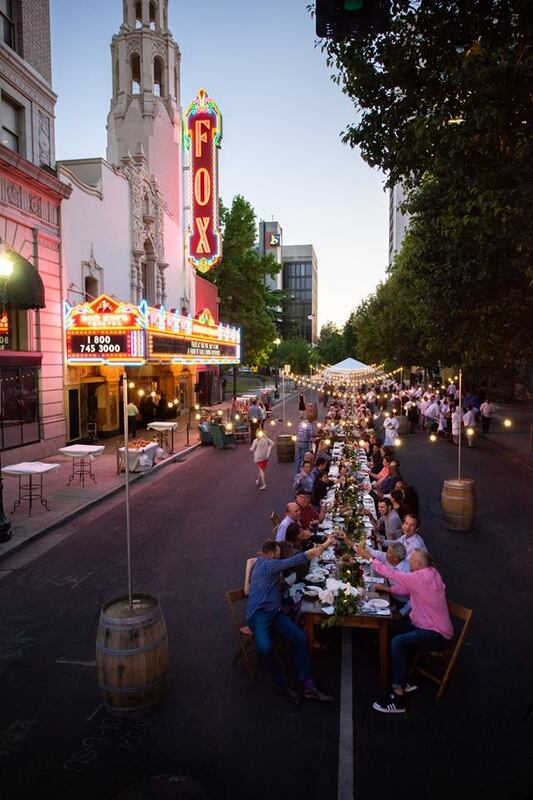 Join Visit Stockton and the City of Stockton for this highly anticipated 2nd annual Farm to Table dinner event, Feast at the Fox, on Friday, May 10, 2019 on Main Street in front of the historic Bob Hope (Fox) Theatre in Downtown Stockton. Join us for a spectacular evening of culinary delight! The Farm to Table Dinner will feature an extraordinary five-course menu created by local chefs using ingredients harvested from farmer’s fields in San Joaquin County or sourced within 30 minutes of Stockton. The evening will also include live entertainment and a silent auction. Donations happily accepted. Event produced in partnership with the City of Stockton with support from and benefitting the San Joaquin Delta College Culinary Arts Program.